It is New Year’s Eve, a time for contemplating the past and looking forward to the future. Each member of the Haywood family is dreaming of escape. Since her sister Mia’s birth, teenager Nicola has been playing the dutiful daughter, but tonight she’s had enough. She wants to drink and dance with reckless Christine and flirt with classmate Dom, but her rebellion may have darker consequences than she’d intended. Nicola’s father, Philip, also longs for a reprieve. A decadent dinner-party provides the perfect opportunity to forget his health worries, until a drunken flirtation backfires, forcing him to question his marriage, and himself. Back at the house, eleven-year-old Zachary’s world is about to fall apart. While local thug Callum Vickers waits for him outside, Zachary’s mother, Stella, is approaching crisis as she cares for baby Mia. Her family can’t comprehend the extent of her panic and depression – how she’s plunging towards a desperate act that could change all their lives forever. 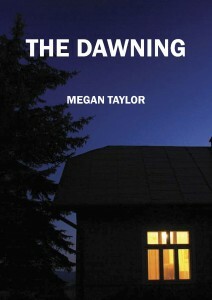 Set in a Peak District town against a backdrop of wintry beauty, The Dawning explores the danger that can exist even at the heart of a family, over the course of one unforgettable night.